If you love mythical beasts and medieval memorabilia this is the craft for you! My cost was less than 15 cents per egg. I made these for my son and will put candy in them for Easter and they can be used as desk or shelf decoration after that. This project was inspired by the link below at Instructables by KaptinScarlet. These are the basic materials, but I also used red paint and glitter fabric paint that was not in the picture. As I had everything on hand except the eggs, my only cost was the eggs and they had them 30% off at JoAnn fabrics so they only cost 69 cents for 6 eggs. 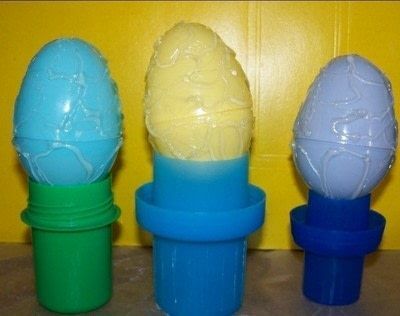 The eggs are a little larger than standard Easter Eggs, but you could also get standard ones from the dollar store and would get more eggs. 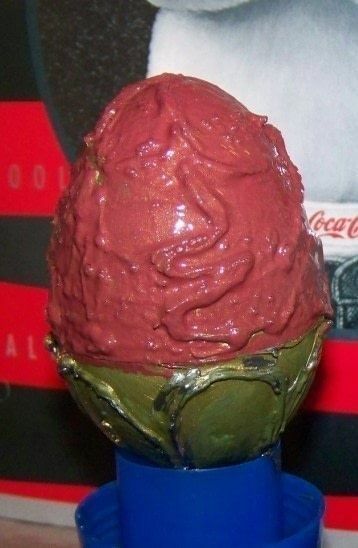 Each egg takes about 1 glue stick and even though I used 3-4 coats of paint, it did not really take much, so I estimate the cost to be less than 15 cents per egg. 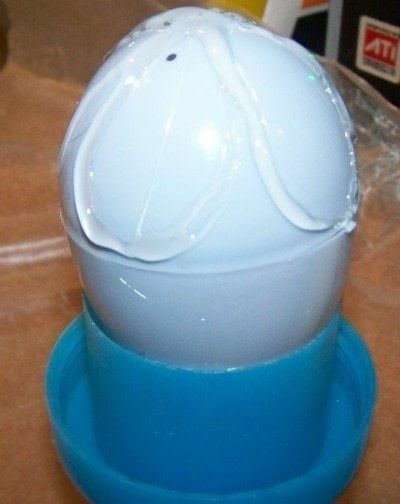 Take the hot glue gun and draw a design on the egg and do the top and bottom sections separately. At the top on this one I used tear drop oval sort of shapes. On th bottom I just zig zagged and squiggled and then connected some of those shapes. This is what the eggs looked like after the glue was on but before they were painted. 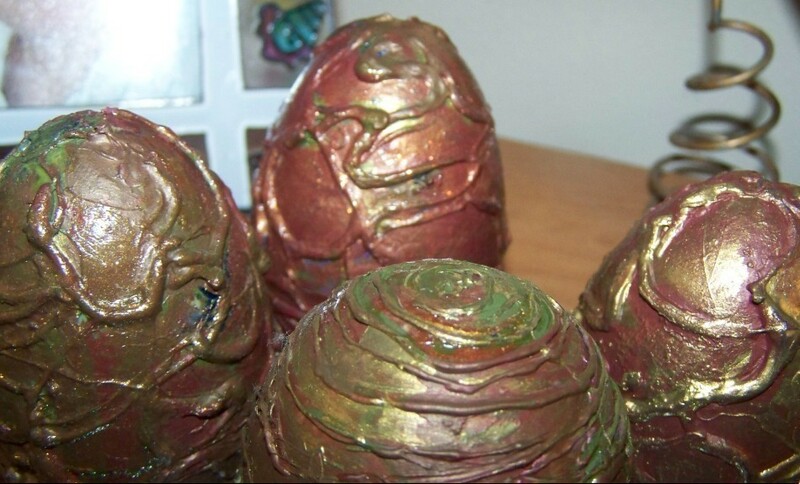 I mixed the green and gold paint and painted the bottom of the eggs, then let that dry the paint the top of the eggs. I put another coat on again doing the same thing (see the bottom of the egg at the side) and although they look old and molted and probably more authentic that way, I didn't feel they were pretty enough for Easter, so I mixed red and gold paint and painted them. For the final coat I didn't mix the paint, I just swirled it once and then painted the egg for a more mottled appearance. Here are some of the finished eggs. 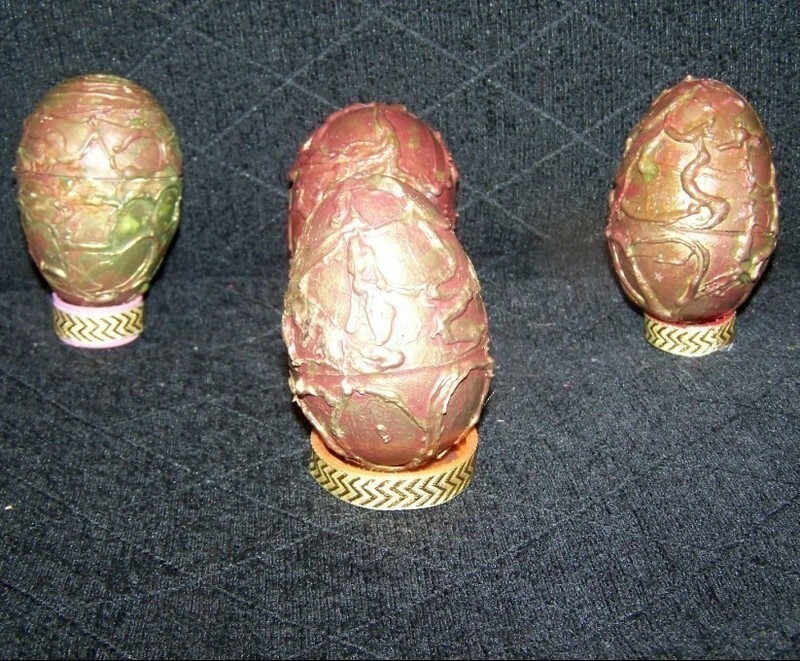 The one on the left I left more greenish and only painted with a bit of the green and the gold and I also used a swirl pattern on the top instead of a tear drop oval. 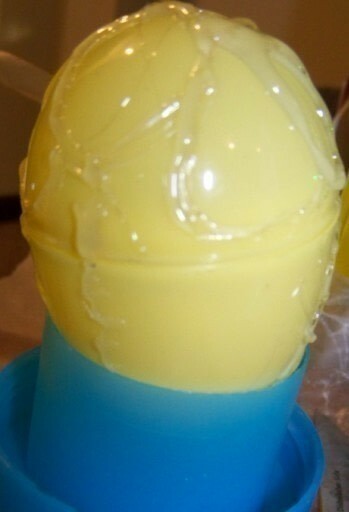 Not the best thing... U should have it that you have a egg that will open, so then a dragon can come out of the egg! How cool! 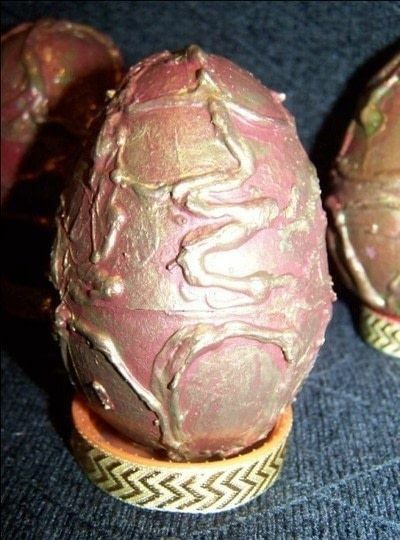 My in-laws have dragons all over their house, I bet they would love some dragon eggs! It is super easy and it is one of the few craft projects that I have done that my teen son thinks is cool. 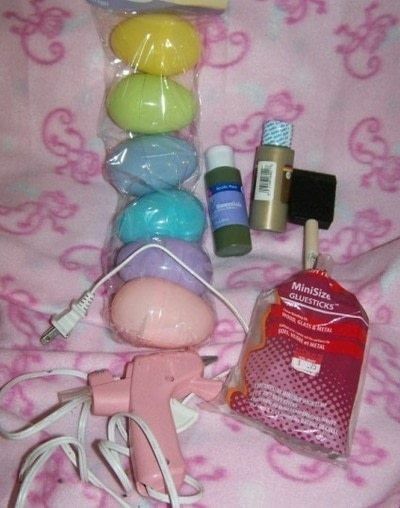 After Easter they will not only serve a decorative purpose, but likely hold memory cards, an MP3 player, batteries and other assorted small items so they will be easy to find. those are fantastic! I love 'em!